Jason Duval - 1st Place. After about two hours of heads-up play, Jason Duval defeated Majid Yahyaei on this hand, when Yahyaei, perhaps sensing his opponent held a flush draw, called off his stack with queen-high. Unfortunately for Yahyaei, his opponent had a queen-high flush draw with a higher kicker, and Yahyaei didn't improve. Duval claimed the World Series of Poker gold bracelet and more than half a million dollars in prize money after outlasting a field of 2,115, while Yahyaei's consolation prize was $324,442. Duval, who recorded his second career six-figure cash after placing third in a WPT event for just under $200,000 this spring, pulled off the rare feat of winning a tournament after being the Day 1 chipleader. Sixteen players survived to Day 3, and the biggest name by far was TJ Cloutier, who fell short of his 40th career WSOP final table when he busted in 13th. Pace of play was fast, as it took just over three hours for the field to be whittled down to the final table. Once there, well-known online player Dan "Wretchy" Martin busted in sixth shortly after being crippled by a huge two-outer courtesy of Day 2 chipleader Masayuki Nagata. Nagata wound up finishing third. 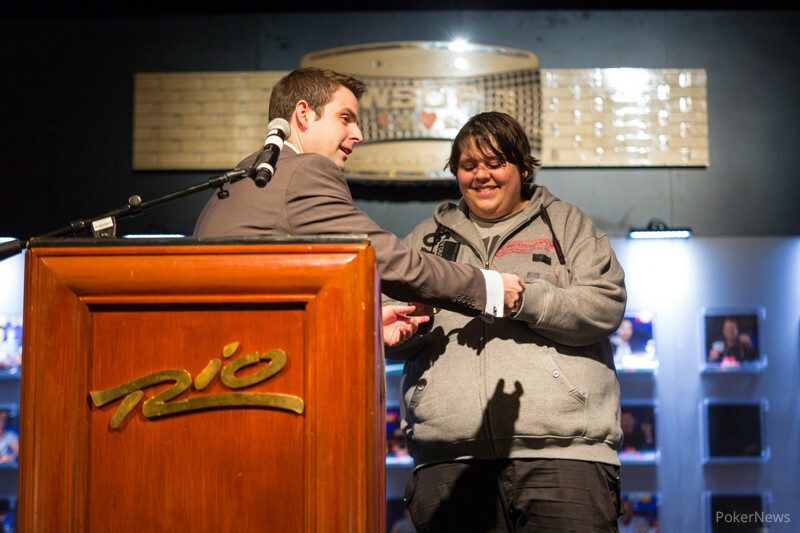 Thanks for tuning in to our coverage of Event #28 at the 2013 WSOP. Hand #169: Jason Duval received a walk in the big blind. 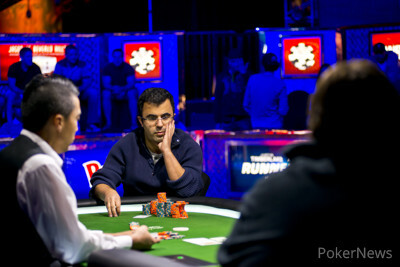 Hand #170: Majid Yahyaei received a walk in the big blind. Hand #171: Yahyaei once again folded his button, giving Duval a walk. Hand #172: Duval raised to 200,000 and Yahyaei called. The flop came . Both players checked and the struck fourth street. Both players checked once more and the completed the board. Yahyaei checked the river and Duval bet 250,000. This bet took down the pot. Hand #173: Yahyaei folded his button, giving Duval a walk. Hand #162: Jason Duval opened to 200,000 on the button. Majid Yahyaei shipped it and took the pot. Hand #163: Yahyaei raised the button, and Duval folded. Hand #164: Duval raised to 200,000, and Yahyaei called. Duval bet 225,000 on after Yahyaei checked. Yahyaei moved in, and Duval folded. Hand #165: Yahyaei raised to 500,000, and Duval jammed. Yahyaei folded. Hand #166: Yahyaei got a walk. Hand #167: Duval got a walk. Hand #168: Duval raised to 200,000. Yahyaei called. The flop came , and Duval bet 250,000 when checked to. Yahyaei went all in, and Duval folded once more. Hand #160 Majid Yahyaei raised to 175,000, and he took the pot. Hand #161 Jason Duval raised to 165,000, and Yahyaei called. The flopped, and Yahyaei check-shipped over a bet of 185,000. Duval folded. Hand #155: Jason Duval had the button and raised to 165,000. Majid Yahyaei called and the flop brought . Yahyaei quickly checked and Duval led out. Yahyaei wasted no time throwing his hand away. Hand #156: Yahyaei made it 200,000 from his button. Duval moved all in and Yahyaei folded his cards. Hand #157: Duval had the button. He raised to 165,000 and Yahyaei moved all in over the top. Duval folded and Yahyaei dragged in the pot. 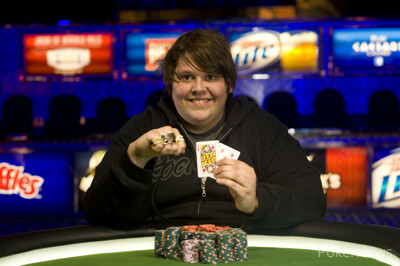 Hand #158: Duval received a walk in the big blind. Hand #159: Duval raised to 165,000 and Yahyaei moved all in over the top. Duval folded and Yahyaei took down the pot. These hands were lost due to a technical issue.